Fort William’s 17-year-old goalkeeper Martin MacKinnon is learning in the school of hard knocks – and he could not be happier. Elgin City goalkeeper Marc Waters admits his performances have not been up to scratch this season as he braces himself for competition for a starting spot. Aberdeen goalkeeper Joe Lewis hopes next week’s winter training trip to Dubai proves as good an omen as it was 12 months ago. Aaron McCarey hopes he has given Ross County manager Owen Coyle a tough decision after the return to fitness of his Dingwall goalkeeping rival Scott Fox. Ross County goalkeeper Scott Fox has been ruled out for a month but manager Owen Coyle fears the absence could be longer. 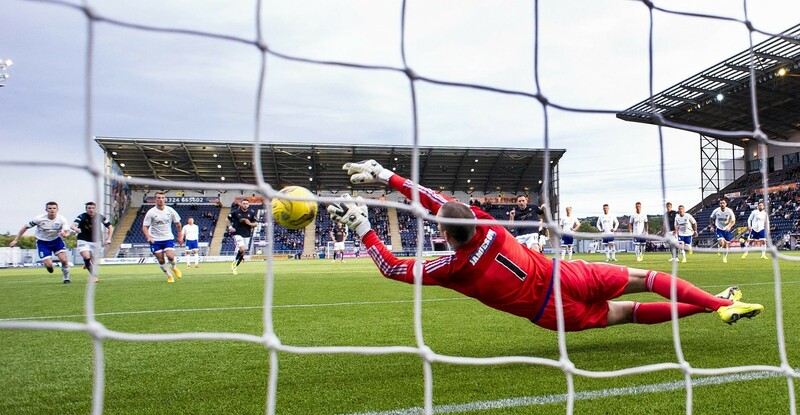 Ross County goalkeeper Aaron McCarey took no pleasure in witnessing Scott Fox’s embarrassing howler against Rangers but knew it might be the break he had waited months for. Ross County defender Jason Naismith insists his goalkeeper Scott Fox will handle the Partick Thistle boo-boys who are certain to target him at Victoria Park on Saturday after his recent howler against Rangers. Peterhead goalkeeper Graeme Smith reckons his side must reach the 40-point mark at least to escape the threat of relegation to League 2. It's not everyday a goalkeeper manages to get on the score-sheet - but it's even more incredible when he does so from inside his own half. Aberdeen boss Derek McInnes is reportedly interested in signing former England international goalkeeper Joe Lewis.